Cactus mandala. The spines look just like embroidered stitches! Click to download a larger image to see more detail. 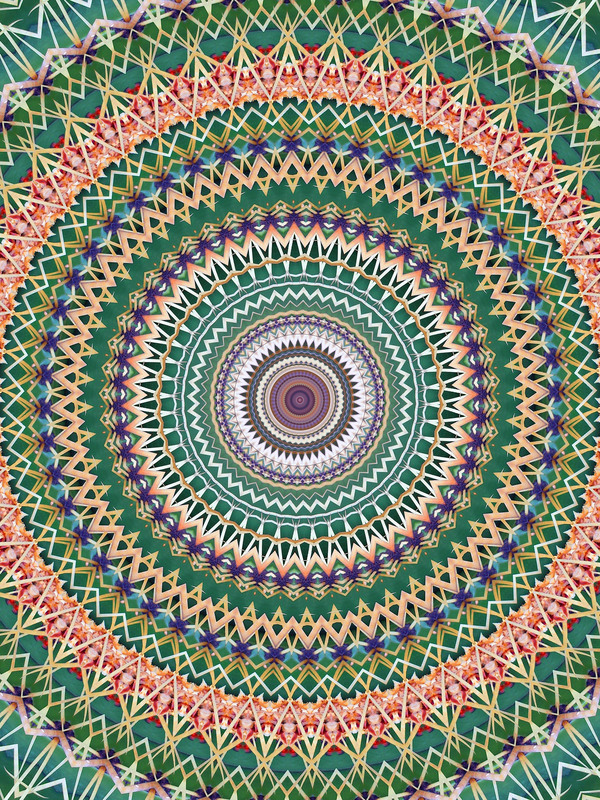 One of my favorite things to photograph with the kaleidoscope filter that creates these mandalas is cactus. 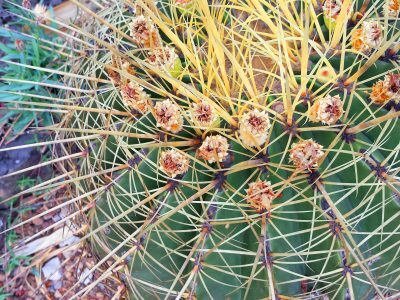 The spines and often tiny flowers of cactus arrange themselves nicely as details in elaborate looking mandalas. The mandala often reveals hidden bits of colors when a small detail from the cactus gets repeated in the mandala design. This spiny cactus is the base photo for the above cactus mandala. Often I have thought of generating patterns this way for embroidery because the cactus spines already resemble stitches so much. 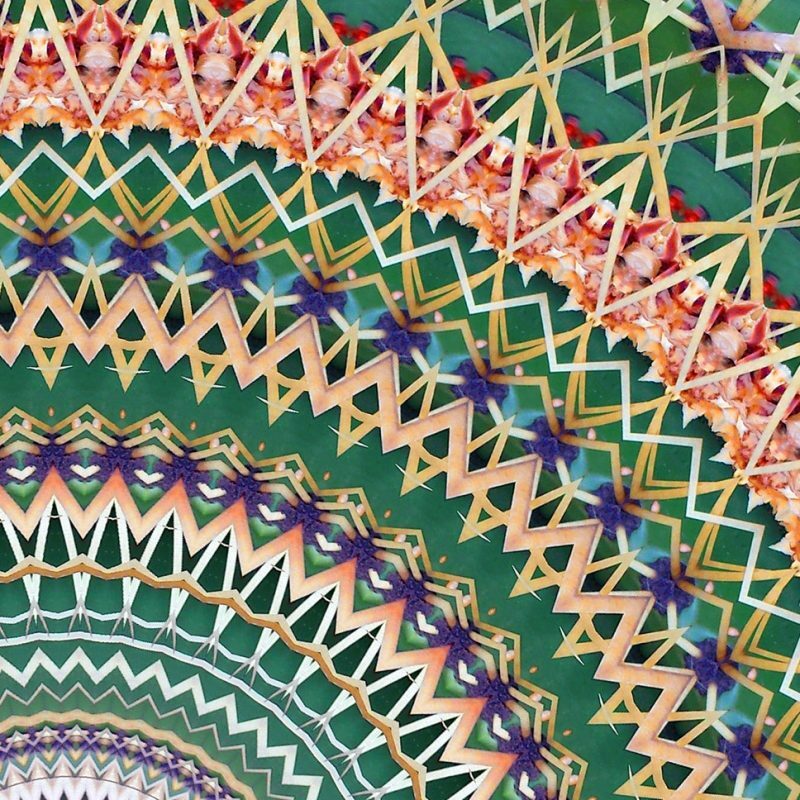 The kaleidoscope photography in general helps me with the embroidered mandalas by training my eye to pick up the most swirling and beguiling patterns. To me a successful mandala is dynamic and seems to undulate before our very eyes. A detail view of the cactus mandala showing the spines and other detials. Check out the Mandalas project page for more information about this project.